Cartwright-Atkins was able to lead the state champion Quakers in scoring this season despite playing inside against taller opponents for most of 2018–19. 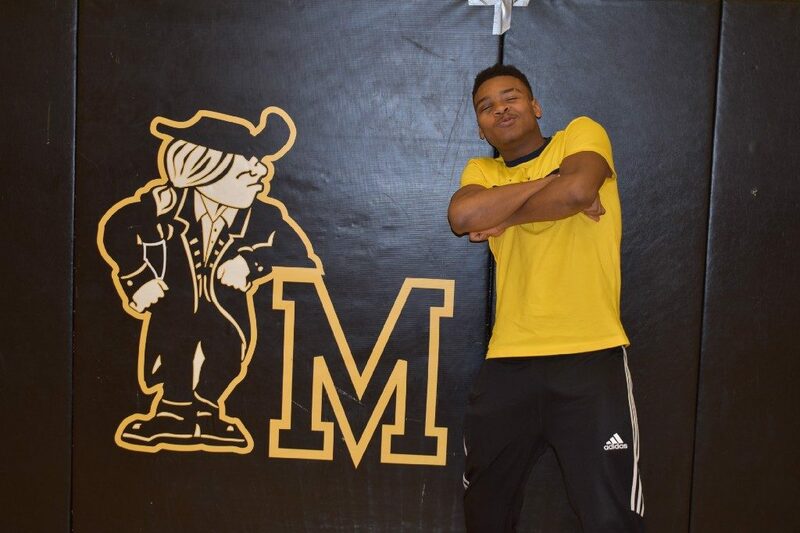 Moorestown High School’s Nick Cartwright-Atkins was a force inside for the Group 3 state champion Quakers, making him The Sun Newspapers’ Boys Basketball Player of the Year. Six years ago, Nick Cartwright-Atkins didn’t imagine ever winning a state championship with Moorestown boys basketball. He could hardly imagine playing competitive basketball at all. 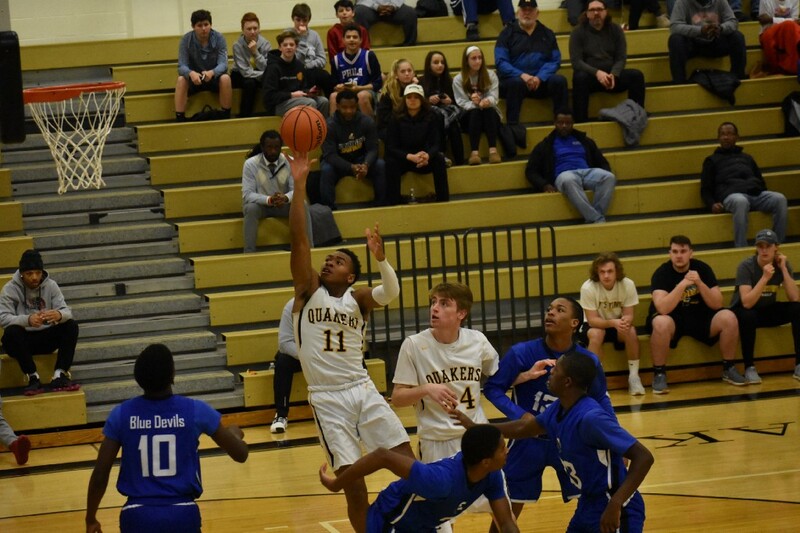 After suffering a dislocated wrist during football season one year in middle school, Cartwright-Atkins decided to play basketball instead of wrestling since he’d be able to come back from the injury more quickly. After playing on the B team in middle school, Cartwright-Atkins continued to play basketball in high school. Cartwright-Atkins’ decision to play basketball was a wise one. 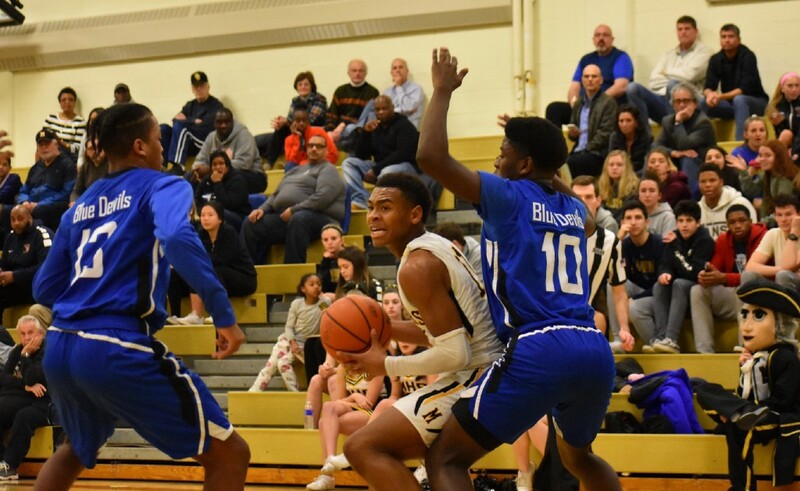 He was the leading scorer on Moorestown’s 2019 Group 3 state championship team, putting up impressive point and rebound totals despite being matched up against taller opponents most games. Cartwright-Atkins’ big performances in Moorestown’s state championship run make him The Sun Newspapers Boys Basketball Player of the Year. “His athleticism, his jumping ability, his ability to finish just separated him, making him, in my mind, the best athlete on the court every game,” Anstey added. Cartwright-Atkins noted he wasn’t always a dynamic player. He remembers struggling with ball handling and coordination when he started playing the sport. In eighth grade, Cartwright-Atkins played AAU basketball, which he credited as making a difference in his game. Making the successful transition to basketball is a testament to Cartwright-Atkins’ athleticism. He was an all-conference wide receiver for Moorestown’s football team and will play football at Division I Wagner College next fall. Cartwright-Atkins needed every bit of his athleticism on the basketball court as he played inside frequently against players who were considerably taller than him. “We needed someone who could play inside-out, because we had good shooters,” he said. “We just needed someone who could score on the inside efficiently. Cartwright-Atkins led the team in 2018–19, averaging 14.7 points per game. His biggest contributions, however, came in the playoffs. In his final five games of the playoffs, Cartwright-Atkins had eight or more rebounds and also scored double-digit points in four of those games. Moorestown High School’s Nick Cartwright-Atkins attempts to split two defenders during a game against Ewing on Feb. 6. In the NJSIAA Group 3 state championship game against Ramapo High School, Cartwright-Atkins had one of his best performances, leading all players on the court with 13 rebounds while also chipping in 12 points. What made this feat impressive was he was matched up against Ramapo’s Neal Quinn, who was listed at 6-feet, 11-inches. Cartwright-Atkins remembers Quinn look down at him before the opening tip. He also remembers how he reacted. Anstey added Cartwright-Atkins always played with a smile on his face and a positive attitude. Cartwright-Atkins said he always tries to make sure he’s smiling throughout each day of his life. The memories of the 2018–19 season will always keep Cartwright-Atkins smiling. Realizing he may not play basketball on a competitive level again, Cartwright-Atkins feels the 2018–19 season was the perfect way to wrap up his career.